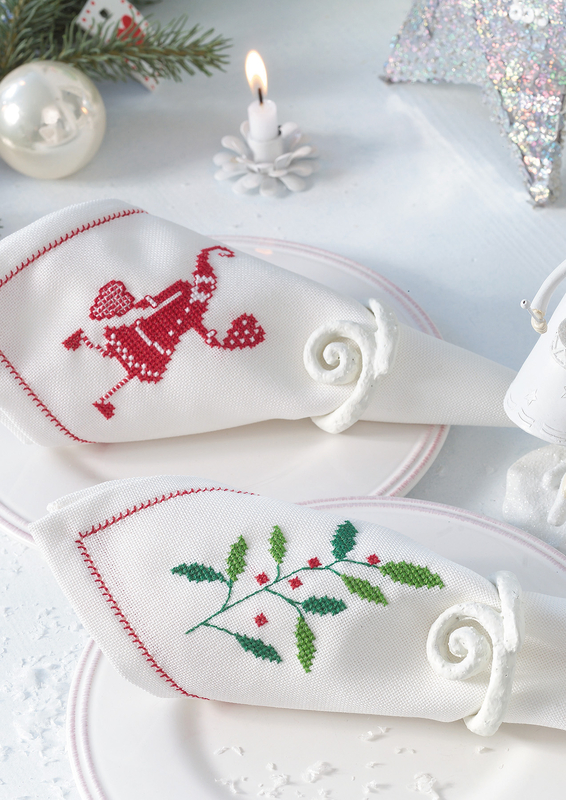 Add a Christmas touch to your napkins with lovely and modern holly sprig and Santa Claus cross stitch. Enjoy Christmas season and decorate your home in style! Enchant your house this Christmas with our 12 festive cross stitch designs perfect to this season!